We﻿ don't have tickets yet and trying in resale and this would be my tenth year of going and first time failed in initial sale (!). We now have a three year old and wife does not want to leave her for that long so considering taking her. Obviously seen lots of children there before but does anyone here have any first han﻿d tips/experiences/pros/cons of taking a toddler? Obviously it will be an amazing memory for her but what if its a wash out? Dealing with crowds? Toilet situation? Awful shower queues? ﻿﻿Losing her?  Missing out on seeing the festival properly ourselves? Also, what is the situation with parki﻿ng? With children can you park near family camping or do you have to do the long walk still? Is there any extra facilities in family camping or is it same as other sites but quieter? I’ve taken my daughter since she was 2. She’s now 10. First things first, you need to accept that the experience is going to be different. You can’t get completely wasted, you can’t chase around every stage constantly, you can’t go down the front and everything takes way longer. Sometimes you have to just camp out in the same place for a few hours because moving is such a hassle. If it rains, multiply the problems by 10. If you are ok with all that it can be an amazing experience. Get a good buggy. One of those cycle trailer things with massive wheels are your best bet for getting around. 12 inch wheels are a minimum if you ask me. Even then if it gets really muddy there are no go areas with it. It’s a lot better these days with metal paths, but everyone uses them in the wet and getting a buggy through can be hard or impossible. In the dry it is a godsend for carrying stuff and provides a bit of protection for the child from the crowds when you are getting about. Get some glosticks for night-time illumination and safety. Parking is in with everyone else, so I can’t help you there. Camp in a family field where there is less chance of someone falling into your tent or waking you up at 4am. If still in nappies, it’s a piece of piss. We had a portable potty with disposable plastic bags for a few years. That worked quite well as you could just nip round the back of a tent or tree whenever necessary. Not very eco, I know, but I ain’t dangling my child over a long drop for anything. Who has showers at Glastonbury? At stages, you are going to be near the back. We tended to spend a fair amount of time in the theatre and circus areas which is far more relaxed. At the pyramid we usually parked near the path at the top of the field for easy access. The other stage is more problematic, especially when busy. Only advice is get to stages early if you really want to see something, stay near a path and choose your moment to leave. If you are properly prepared you can have a fantastic time. I have some fantastic memories and some horrible ones in the mud, but we keep going back, so it must be alright. Super post. I would ensure you get some ear defenders, tonnes of smalls toys and treats and pray it doesnt rain.